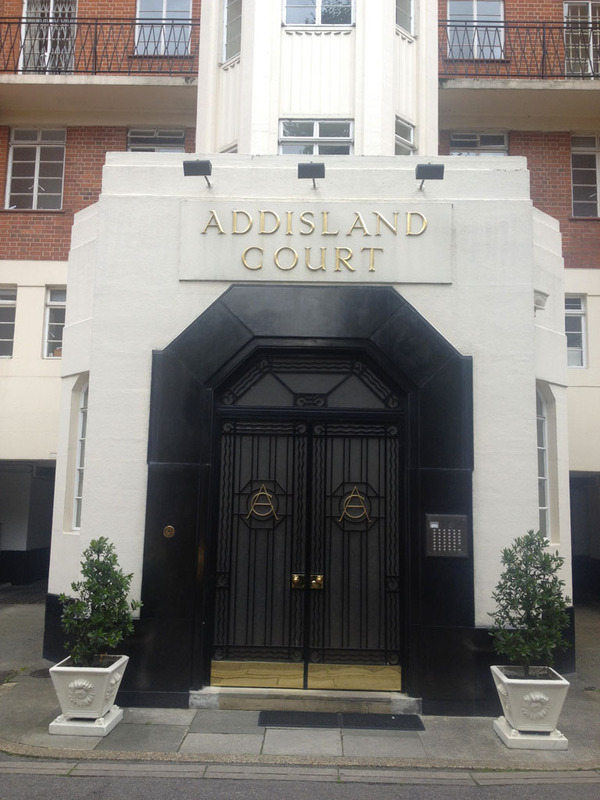 Mr Binnie was clearly in a grander and more urban frame of mind when he designed Addisland Court compared to his other London block, West Hill Court. This imposing block just near the Shepherd’s Bush roundabout has been designed around the car, with its massive undercroft garage dominating the building to the extent that the Egyptian-inspired main entrance flourish is set down at basement level. This main door is truly awesome, and topped with an expressed stair core bay which continues the streamlined look. 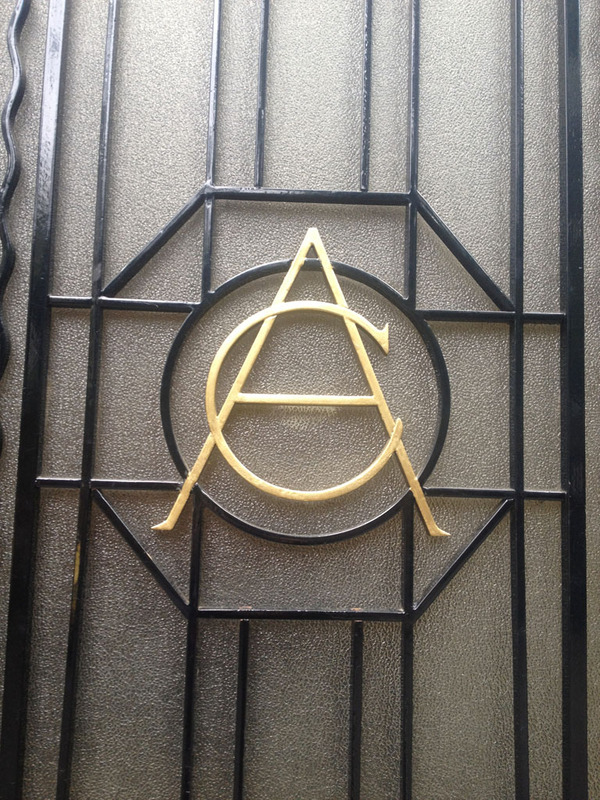 The initials of the building are woven into the door panels. 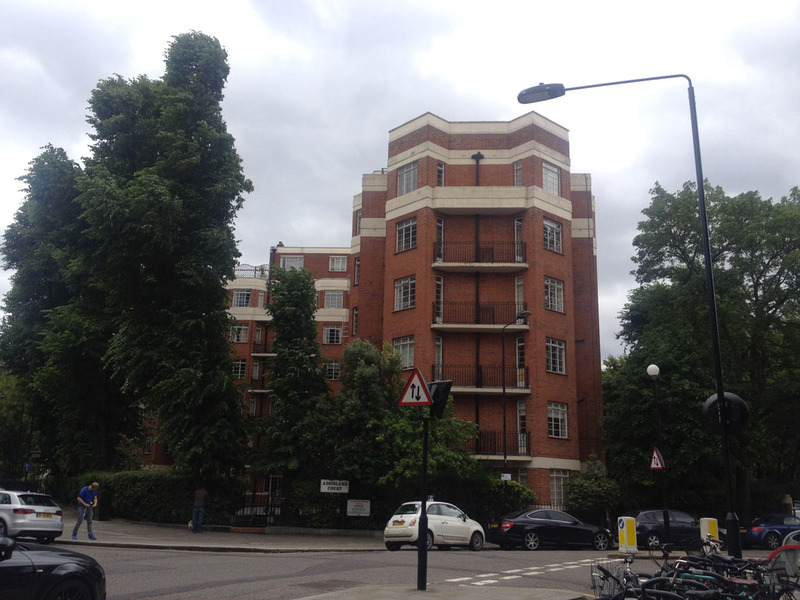 The balconies have a similar metalwork pattern to those on West Hill Court but this time in black. 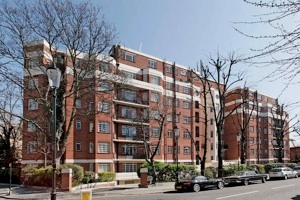 The tradesman’s entrance leads to a stark flat roofed landscape which the residents have not chosen to soften, though the planting on the front side is more lush.